Condolences to the family of MIT Officer Seab Collier and to his MIT police family as well. Godspeed Officer Collier. My deepest and sincerest condolences to Sean's family and extended family at MIT Police. Words can't begin to express my sorrow for his loss and the gratitude I have for his service. My condolences to Officer Collier's family and department. RIP Sir, you will not be forgotten. On the behalf from Quincy Police Chief Paul Keenan and I would like to extend with our full condolences to the Collier family and friends and colleagues of Officer Sean Collier in this terrible tragedy from last week on Friday morning. The City of Quincy, the Quincy Police Department and the North Quincy Nights Strategic Response Unit, stands with the MIT Police Department to help and rebuild their communities back on the track as we are ready to move forward. From all of us here at the North Hampton (NH) Police Department, we offer our most sincere condolences to the family, friends, and brother and sister officers of the MIT Police Department. Sean's Watch ended on April 18, 2012, but I can assure you he will never be forgotten by us here in neighboring New Hampshire. All should be cognizant of the fact that Sean knew the risks of the job and he did his duty to protect us and we now have to do our duty and remember him for all time. "All give some, but some give all"
On behalf of the Dublin, NH Police Department we would like to extend our heartfelt condolences to Sean's Family and the MIT Police Department. Sean rest with peace officers, we'll take the watch from here. The men and women of Princeton University Campus Police want to express our heartfelt condolences to the family and to the colleagues of the MIT Police Department. Our prayers are with you all. Department. Sean rest in peace brother, your shift is over and all suspects are now facing justice. On behalf of the Uniform Division of the US Department of Veteran Affairs Police ( Jamaica Plain ) Our deepest condolences to the Collier family and to our brothers and sisters of the MIT Police. My heart, thoughts, and prayers go out to Officer Collier and his Family! The Northeastern University Public Safety Division offers our deepest condolences to the family of Officer Sean Collier and to the men and women of the MIT Police Department. Our thoughts and prayers are with you during this difficult time. Tufts Emergency Medical Services will be keeping Officer Collier and his family in our prayers and thoughts. To all of the police officers out there, we have nothing but the utmost respect for the work you do. You make the world a safer place and risk your lives every day. For that we are all grateful. My thoughts and prayers go out to Officer Colliers family, friends and fellow officers! My deepest condolences to Officer Collier's family, friends, and all of the men and women of the MIT Police Department and the MIT community. All of us in Law Enforcement share your pain and sorrow. My deepest condolences to the Collier and MIT family. The men and women of the Boston College Police Department send our deepest condolences. Our thoughts and prayers are with the Collier family, the members of the MIT Police Department, MBTA Officer Donohue and all the victims of these senseless acts of evil. May God bless our First Responders everywhere. My heart goes out to Officer Collier's family and the MIT Police Department. He will be in my prayers. Only the good die young. R.I.P. The thoughts of Tufts Public Safety are with the MIT community, and friends and family of Officer Collier. His life was cut short by a senseless act of violence; his contributions, personal as well as professional, will never be forgotten. On behalf of the Fisher College Police Department, and the entire Fisher College community, please accept our heartfelt sympathies. 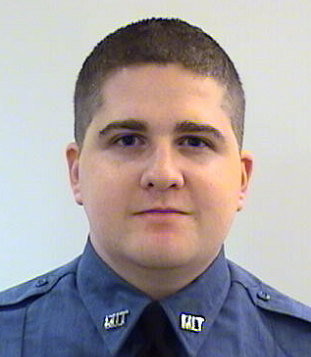 Words cannot express the sadness we all feel at the loss of Officer Sean Collier. Our thoughts and prayers are with you during this difficult time. To the Collier Family and the M.I.T. Police Department, the WPI Police Department thoughts and prayers are with you. May God bless you all and give you strength and endurance during this difficult time. God Bless you Sean, may you rest in peace. On behalf of the men and women of the Pittsfield Police Department, our thoughts and prayers are with Officer Collier's family and loved ones, together with all of the members of the MIT Police Department and campus community. Sean is an example of all that is best within American law enforcement. He now stands his eternal watch with St. Michael and all his fellow officers who have made the supreme sacrifice. His sacrifice serves as an inspiration to all who serve, and a reminder of the evils that we face on behalf of our communities. Stay safe and keep the faith. RIP Officer Collier. to making our entire society a better place. His Patrol is now done may he be granted eternal rest in peace.